Perspectivity Enterprise recently studied and exchanged thoughts about the book ‘On Complexity’ by French philosopher Edgar Morin. 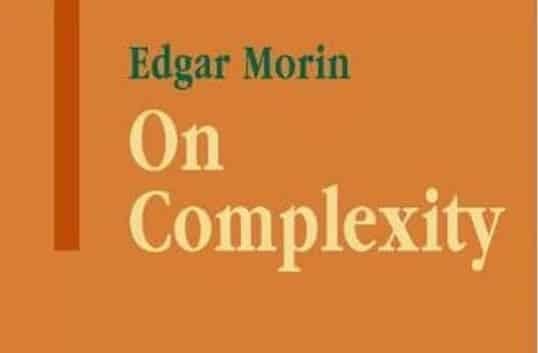 Morin turns his attention to the technical and philosophical underpinnings of complexity theory. His main ambition is to put in place the foundations of a scienza nova that is able to transcend the debilitating shortcomings of a worldview dominated by reductionistic Western science favouring simplicity. This complexity thinking will not, however, offer solutions or practical guidelines. It is a thinking “which knows that it is always fundamentally local, situated in a given time and place, for it knows in advance that there is always uncertainty”. Morin writes about the implications of his complex thinking for human affairs. Talking about complexity: when reading, we considered the book itself to be quite complex and challenging to read, with a high level of academic language. Join us with the following brain-twisters to test your knowledge of complexity! In what way are we attached to one of the concepts of the pair? What frame of reference or what beliefs are we holding on to? What holds the two concepts together? What does the concept-pair exclude? Has the contradiction stopped being productive or useful? If we allow the multiplicity of the pair of concepts, what understanding does emerge? If both poles are true, what new reality emerges? The universe began as a disintegration, and in disintegrating, it organized itself. We see how agitation and random encounters are necessary to the organisation of the universe. Reality is as much in the connection (relation) as in the distinction between the open system and its environment. The environment is at the same time intimate and foreign: it is part of the system while remaining exterior to it. In one way I would say that the aspiration to complexity carries in it an aspiration to completeness, because we say that everything is interdependent and everything is multidimensional. But, in another way, consciousness of complexity makes us understand that we can never escape uncertainty and we can never have total knowledge because ‘totality is non-truth’. The laws of organisation of the living are not laws of equilibrium, but rather of disequilibrium, recovered or compensated, stabilized dynamics. Hyper-specialisation tore up and fragmented the complex fabric of reality, and led to the belief that the fragmentation inflicted on reality was reality in itself.